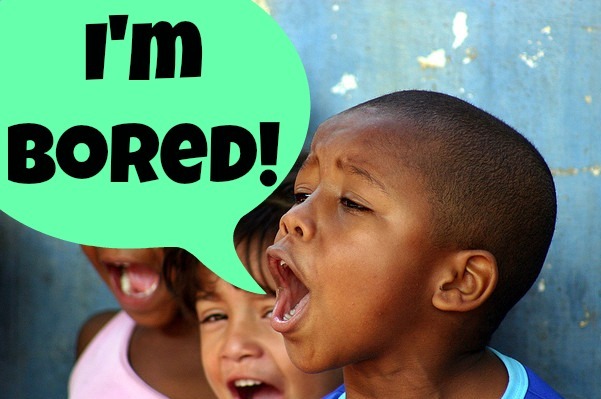 Have you ever heard the repetitive mantra of, “I’m BORED!” (slight whine implied) at your house? Are you diligently preparing right now for a summer of possible boredom with camps, classes, and activities for your kids? Does their boredom become your problem? Do you fear their boredom? 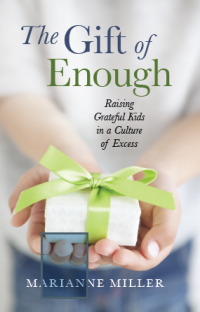 Rather than fearing it or trying to eliminate it, celebrate boredom with your child. Why? Because if they are bored, it means that they are not among the 168 million children worldwide involved in child labor (2013). If they are bored, it means they have the opportunity to find something interesting to do. If they are bored it means they have the gift of free time to explore. If they are bored, they have a chance to think and ponder new thoughts and ideas without interruption. I would LOVE to be bored more often! Explain to them that the very concept of “boredom” is unique to our culture. In other places around the world, there is not even a word in some languages for boredom. Help them understand that boredom happens immediately before they find something new and interesting to do, plan, imagine, or create. It is supposed to be a temporary feeling before they transition to a new activity. Talk about “some kids” who are bored all the time. Because these kids usually have played lots of video games and/or watched lots of TV/screens, they are no longer able to enjoy real life like they should. The more they disconnect from people, nature, and the real world, the more they are bored when they are off their screens. Get your kids excited about the possibility of boredom using the information above. Brainstorm activities that they may want to try when they start to feel bored. Plan lots of free time at home and plan for outside time with no agenda. Minimize the quantity of toys that your kids have access to. Sometimes it’s just too overwhelming. Choose a few toys for each week and have the rest be stored or “off limits.” Let the kids decide at the beginning of each week what toys will be featured that week. Explain to your kids that if they cannot solve their own boredom problem, you always have your household chores that they can help with. PLEASE do not create this as a punishment. Helping Mom is a very noble way to spend time. It allows kids to practice cleaning/organizing skills and allows them a chance to serve someone else which brings joy and purpose. Help your kids practice being “body bored.” This happens lots of times in life when someone is waiting in line, waiting for an appointment, waiting for an activity to start, sitting through a “boring” presentation…Tell them that their brains NEVER have to be bored. They can make up a story, imagine a character with a name and specific traits, make lists of favorite places, lists of words that start with “J,” lists of things they are thankful for, lists of things they love, bucket lists, remember when they were really little. Actually practice this activity by sitting with them and being very still, but talking about what is happening in their mind and yours. I remember a mom of teens who once commented to me, “I keep my kids REALLY busy with activities so that they won’t have time to get in trouble.” Seriously? THAT’S how we keep our kids out of trouble? Don’t buy into the cultural lie that “Busy is Better.” Too many activities brings stress to the entire family, not just the kids involved. It places the focus on doing rather than being. Are you raising an athlete/student or are you raising a man/woman? If you are raising a man or a woman, they will need lots of opportunities to explore their external and internal worlds in freedom and lots of time to build real relationships with fellow human beings. Please give your kids the time and freedom to simply “be”…even if it means that sometimes they are bored.